If you’re a bear hunter, the task alone demands that you reach some pretty remote territory. Alaska is the Promised Land for grizzly hunters in America and rightfully so. It boasts some of the densest bear populations on earth. If travel and bear hunting is your thing, then you’d likely enjoy visiting one of these five international destinations to hunt the famed predator. 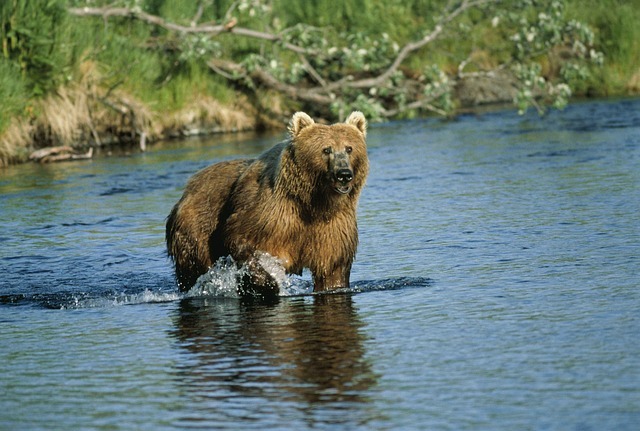 Just a few miles west of the Alaskan Peninsula it’s no wonder Kamchatka is Russia’s favorite bear hunting retreat. Kamchatka’s human population is less than one person per square kilometer. This provides the brown bear population with excellent growing potential. The “Far East Brown Bear” is the largest carnivore in Eurasia, sure to give any hunter a chilling thrill. Guided hunts start around $8,000. Romania is bear heaven in Europe, with 70 percent of all the bears living in Europe found in Romania. Many of those call the Carpathian Mountains home. The Carpathians are positioned in the North of Romania and stretch into Ukraine. This is also a truly remote part of the world, allowing bears to run wild. Trophy hunting in Romania has recently been banned, but hitch your wagon to a local that maintains rights to the quotas and enjoy the hunt of a lifetime. Nestled on the coast of Canada’s southwest, BC offers a wide range of bear hunting opportunities. Known for it’s favorable black bear populations, grizzlies are out there too and this terrain is perfect for any trophy hunter. Being just north of the border, outfitting a Canadian bear hunt is a little less pricey starting around $3,500 for black bear. Ontario re-opened its spring bear hunting season in 2016 for the first time since 1998. The black bear populations have sky rocketed, and as a result these millions of square miles of untouched forest are the ideal spot for a bear hunt. A week in Manitoba hunting black bear will run you a cool $2,650. Gorski Kotar is located in the northern mountains of Croatia. Here, Croatia’s brown bear are some of the biggest trophies Europe has to offer. There are spring and fall opportunities to hunt the Mediterranean behemoth. Outfitters in Croatia typically heir from a lineage of bear hunters that have been hunting brown bear in Croatia since 1881. Trophy hunting in Croatia might be the priciest of all ranging from $6,000-$12,000. No matter where you go, each trip will provide an opportunity to discover new landscapes and learn from different cultures based on generations of perfecting the big game hunt.